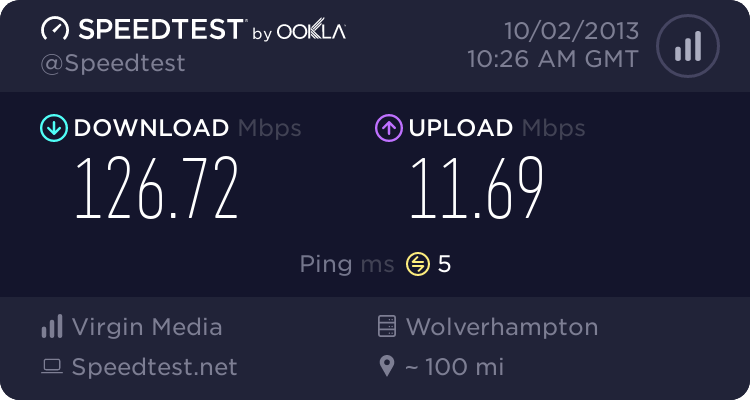 Got virgin media broadband installed today and blimey 120 Meg is a super power! Downloading transfer rate near around 15MB/s. Wish the upload could get 25Mbps would be nice. However, I still keeping my ADSL2+ for backup only.